The Saint Bernard is essentially the definition of a gentle giant. These large beasts are known for their size as well as calm behavior. 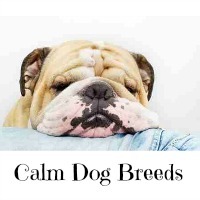 Not only does this make them an easy breed to own, but ideal for more chaotic households. These dogs make great, gregarious companions, if not a little slow. The St. Bernard is an easy-going dog, with a lot of love to go around. They particularly do not like being left alone for too long. If they are alone for prolonged periods of time, they may get into some trouble. Otherwise, they are well-behaved dogs. Many owners that are not home all day may hire a brave dog sitter or send them to daycare. The St. Bernard is not a very energetic dog. The energy they do have, however, is spent performing daily tasks with surprising enthusiasm. These dogs are intense in what they do, although regular exercise can help them relax even more. 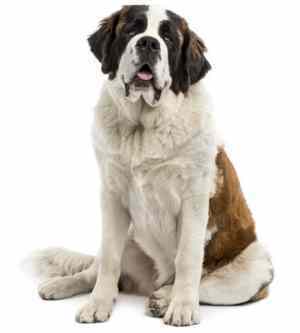 The Saint Bernard breed is an excellent choice for families. They love it when they are with others, and their gentle, tolerant nature makes them great for kids. Guests will also feel welcomed into the home by these dogs, often eliminating any second thoughts about whether or not the breed is aggressive. Smaller children are at a distinct risk, however, due to the dog’s size, and should be watched while playing. The St. Bernard is not a very vocal breed. When they do bark, however, it can be heard from afar. They’ll typically bark when excited or alerted, but more socialized Saints will adopt a more formal approach. For the most part, it’s more slobber than sounds that will be coming out of these dogs’ mouths. While they are typically hospitable towards guests and children, it does not always extend to other animals. Other dogs, in particular, do not usually receive quite as warm a welcome as their friends on two legs do. A more socialized St. Bernard will be more welcoming of fellow canines. The St. Bernard is a happy medium when it comes to sensitivity. The dog is responsive and attentive while maintaining some stubbornness. They can handle criticism without taking it to heart. This makes training this breed much easier. Barring emotional sensitivity, this breed is known to be sensitive to extreme heat while handling extreme cold quite well. A big dog means a big stomach, and this is true in the case of the St. Bernard. These dogs carry an appetite and are also prone to weight gain. Food intake should be balanced with the right amount of exercise, as obesity brings a whole new range of problems. 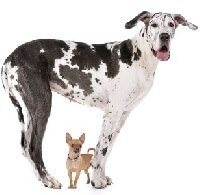 With dogs that can reach weights of 200 pounds, plan on budgeting for their extra big appetite. Speaking of size, these dogs need plenty of room. A tiny house with a small yard just won’t do for these giants. 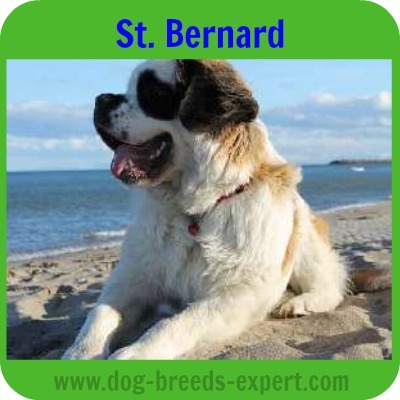 The St. Bernard is known for being a very loyal breed, which usually keeps them bound to their owner’s property. These dogs don't have too much enthusiasm for exploration, although, it’s recommended they have an enclosure for outside. An invisible electric fence wouldn't stop a dog of this size, so just in case, it’s best to have a solid barrier. They’re not too likely to chase after the odd squirrel either, although, a fence is still recommended. 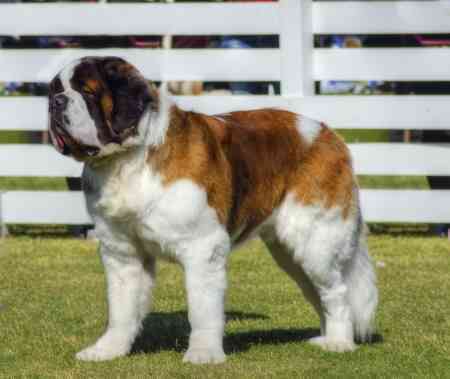 The Saint Bernard’s roots lie in Switzerland, where the breed likely originated during the Middle Ages. It’s believed that, as with most breeds, these dogs are the result of breeding with Roman Molossian dogs and native ones. The Romans, leaving their influence on the canine world as well, created many breeds during the time of Caesar. It would be long before the breed became its own, though. For a long time, dogs in Switzerland were simply farm dogs (Bauernhunds) or “valley dogs” (Talhunds). The breed did not come into its own until the arrival of St. Bernard himself. Bernard set himself up nearby what is now known as the infamously dangerous St. Bernard pass. Located high up in the mountains, the St. Bernard Hospice was a refuge for travelers crossing between Switzerland and Italy, and the straightest route to Rome. It was here that these dogs made their first appearance on search and rescue missions for those caught on the mountain pass. These dogs maintained their jobs as rescue workers for a long time, until breeding practices put them in danger. The monks that had employed the breed attempted to improve on them by thickening their coat. They bred the St. Bernard with a Newfoundland with the thought that a longer coat would keep them warmer. This instead created a thick coat that could freeze and become even more cumbersome, putting a significant damper on their rescue abilities. Saint Bernard’s monks soon abandoned the breed altogether, dispersing them among the nearby population. Before the failed cross breeding, the breed had already made a name for itself, despite not having an official name. The breed was popular in Britain and Germany, where they were given different names. It wasn't until the later 1800s that the name Saint Bernard was suggested by Daniel Wilson. This name was later widely adopted due to its historical accuracy. The breed’s standard varied like its name did, according to the country, for a while. It wasn't until 1887 that the breed had an established international standard. This was only a few years after the breed was registered in its home country of Switzerland. Eventually, the rest of Europe picked up the standard. The breed’s popularity and standard became stronger in the years approaching WW1, only to be promptly endangered by the conflict. Like most breeds in Europe, the existing Saint Bernards found themselves disheveled. Thankfully, the breed had made its way to the US by the time war had broken out. This helped keep the breed alive during these turbulent years. WW2 was a similar story, with many breeds being endangered by the conflict. However, this war had adopted a form of guerrilla warfare, taking the fight from the trenches into cities and towns. This put many domestic pets in particular danger, especially those belonging to enemies of the Nazis. However, the breed had built a strong enough global base that it was not at risk of going extinct. Afterward, the breed began to rebuild its numbers in Europe. The breed proceeded to become popular in homes as a domestic pet as well as a show dog. In the US, the postwar economy allowed many to afford a higher quality of living, which, of course, will include a dog. The breed now holds the rank as 50th most popular amongst the breeds registered by the AKC after its registration in 1885. The Saint Bernard is a not a very difficult dog to train. One main problem most owners find is in the size. The breed itself brings a whole lot more dog to train, reiterating the need to train them to be relaxed, and passive dogs. 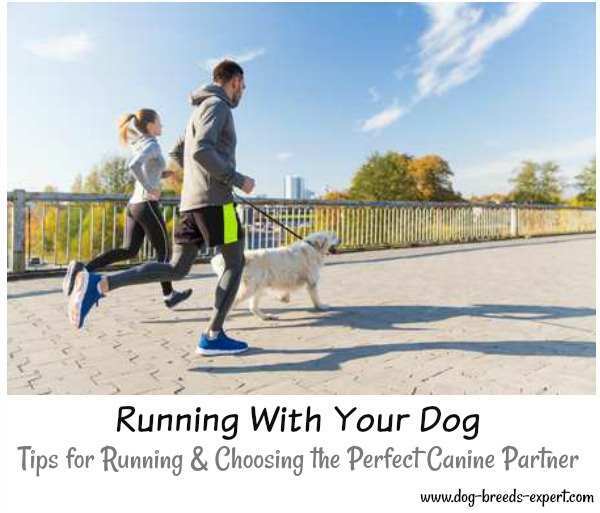 Sometimes these dogs can be stubborn, but as with most breeds, consistent positive reinforcement for good habits is the ideal training method. This being said owners will also have to maintain authority at the same time. Otherwise, a Saint may legitimately walk all over you. Housebreaking a Saint Bernard is not a very taxing task either. House Proofing for a Saint, however, is a bit time consuming. These dogs put anything at their height in danger of wagging tail collateral damage. Their appetite can also be easily sated by taking any unattended food, which will often be within their reach. As with all breeds, socialization is a vital part of the training process. 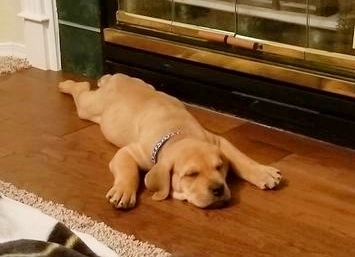 A well-socialized dog will be relaxed and less vocal. Owners will often take their Saints on frequent walks as well as to obedience classes for them to socialize with other canines and people. Walking a dog will get it accustomed to its environment, lowering anxiety for them and the owner. 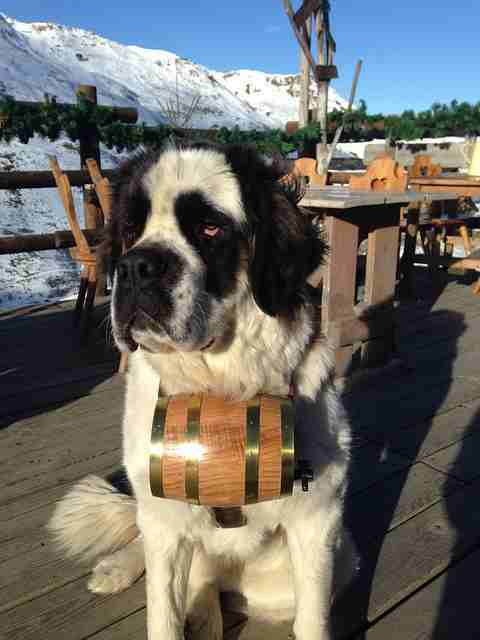 Where did the image of a St. Bernard carring around a barrel originate? The only recognized marking for this breed is a black mask. 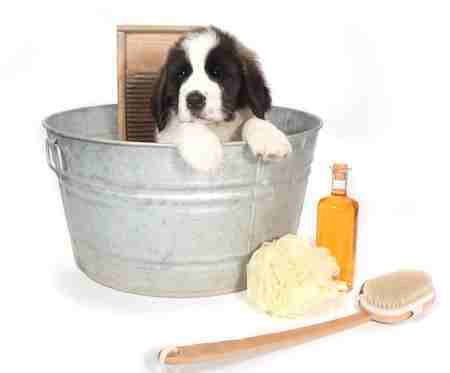 The Saint Bernard is notorious for being a bit harder to groom, mainly due to its size. Other than there being a whole lot of dog to groom, their double coats are relatively easy to manage. Most owners of this breed recommend brushing them at least 3 times a week. These coats stay pretty clean as well, so owners recommend bathing as needed. You’ll spend more time grooming your house from the amount of hair a Saint will track around than the dog itself. 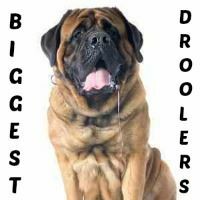 Due to their loose jowls, these dogs are big droolers. A handy towel can make for a quick clean up. They also shed, especially seasonally, so expect a little more brushing during these times. Many owners forget that it's not just the coat that needs to be brushed. Dogs require regular dental care just like humans, so they need to have their teeth brushed often. Most owners will brush their St. Bernard’s teeth at least 2 or 3 times a week. This regular brushing will prevent plaque and tartar buildup while helping freshen up the dog’s breath. It’s important to care for a dog’s nails as well. While this excludes painting and polish, it does mean regular clippings. If a dog’s nails are too long, they can start to be uncomfortable and painful. Nails are more of an as needed grooming step so most owners will clip their dog’s nails, at least, every 3 weeks. A good way to tell if a dog’s nails are long is by listening for their nails clicking against the ground as they move. If you hear the click, it's time to clip. Dogs should have their entire body checked when grooming, especially their ears. Large, floppy ears like those donned by the Saint Bernard may be aesthetically pleasing, but they cut off airflow to the ear. This allows things that have gotten into their ears to stay there, as well as giving bacteria a nice warm home. Owners should check their dog’s ears with every grooming session or at least once a week. If you want to protect yourself, a massive Saint Bernard patrolling the front yard should make the right impression on any intruders. These dogs are massive so anyone brave enough to approach will be greeted with a mass of fur and muscle. This breed could easily knock an intruder down, and will attempt to protect their owner should it come down to it. The St. Bernard also carries a bark with its bite. However, this booming warning only acts as a further deterrent, when it’s given at least. The St. Bernard is not a very vocal dog, but it will let its owners know if there is a stranger present. They typically only bark when alerted or excited. 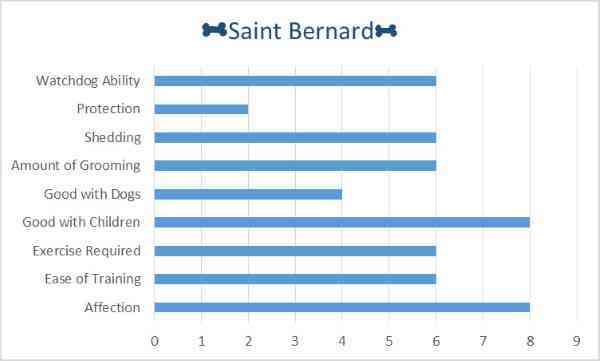 Historically, Saint Bernards have held a variety of roles in society. Their first jobs were to save people trapped in avalanches, through search and rescue. Later they were used as guard dogs as well, but their mentality is not an aggressive one. This breed shouldn't have to have any extra training to execute this domestic duty as sentry. Dogs get sick and injured just like people. Unfortunately, they do not have universal healthcare. If you are planning on purchasing a dog, you should be capable of providing them with enough healthcare and the regular vet visit. 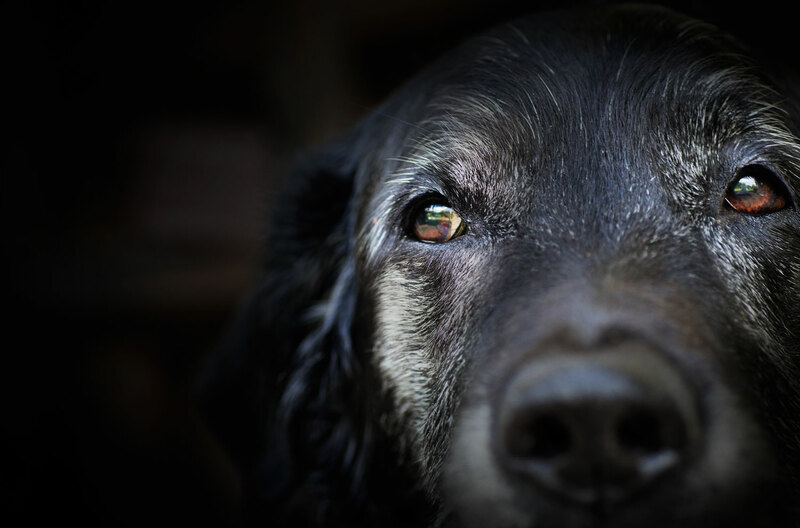 Some breeds are more prone to certain medical conditions than others as well, and they should be taken into account before purchasing a dog. 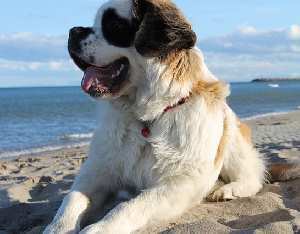 Given that the Saint Bernard is such a popular breed, it is especially important to find a reputable breeder when getting one. A good breeder will know a lot about their breed, as well as be able to pass health checks for their dogs. Barry- Famous St.Bernard that belonged to the monks and is reported to have saved over 40 human lives.